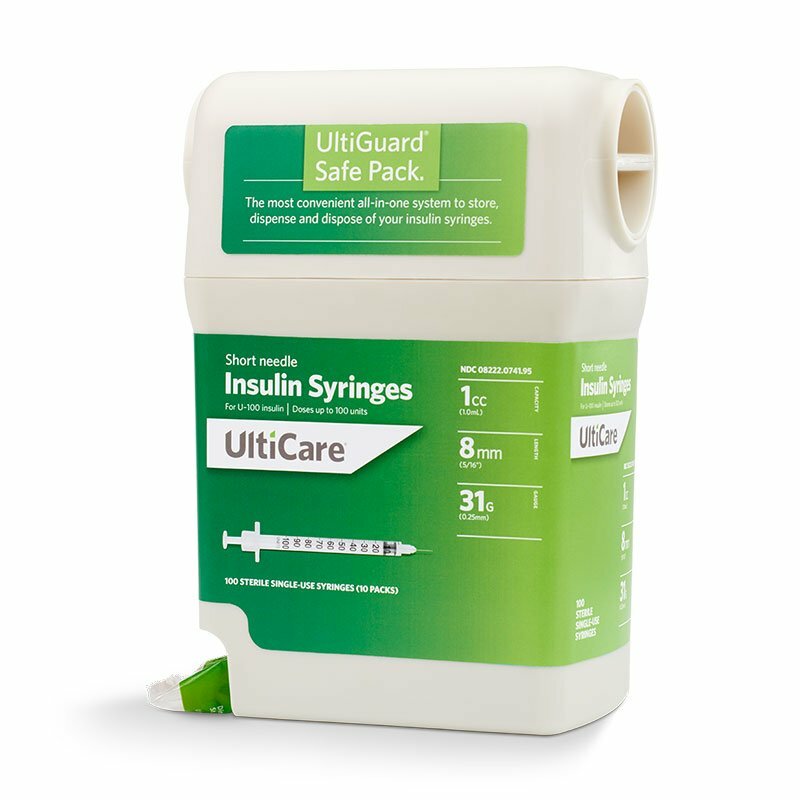 UltiGuard UltiCare U-100 Insulin Syringes - 31 Gauge 1cc 5/16inch (8mm) - Syringe Dispenser and Sharps Container. 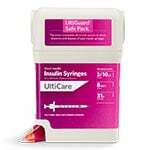 For 100 units or less. Latex-free, All-in-one syringe and disposal container, safe and tamperproof, convenient and ready to use. Box of 100. Case of 5 Boxes.